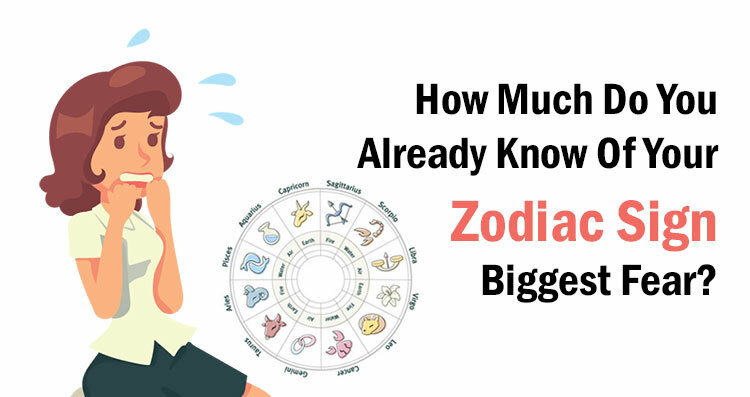 How Much Do You Already Know Of Your Zodiac Sign Biggest Fear? Don’t let your secret fears eat you from inside! Conquer them before they conquer you! Astrology reveals interesting information to learn about Zodiac signs and these signs shape destiny and life. It helps you to recognize your strengths and positive traits but no doubt, there are negative aspects to everyone’s personality, too. Biggest fears become latent disadvantages that one can possess and you should learn to move past them. Aries live their life like warriors. This natural state does them harm than any good. Professionally, it is a good quality to fight for your right and stay put to your stance but on personal terms, this nature often backfires. In the battle of wills, they fear losing loved ones. Financial or otherwise, Taurus people enjoy conveniences in their life. They fight for financial stability, secure future, and low debts. Their greatest fear is unsteadiness to get security and stability, especially at home. The twins of Gemini never settle on one decision. When one makes the choice, the other side pipes up and give another better option. The conflicting sides become their biggest fear. Cancer people are good with life as long as they are staying in their safe zone. They fear the uncomfortable out of their comfort zones. But this often leads to isolation as well. How do you feel about the lion’s roar fading into the crowd? Leos yearn for attention. If they don’t get it, they will work out something to get noticed. Virgos will go into despair when someone will try to topple their organized world. They believe in perfection and symmetry of everything, as long as it is humanly possible. Libras are passionate about every aspect of their life. They don’t want their ugliness to get attention and therefore, they scare of being ugly and chaotic the most. .
Scorpios get frightened to vulnerability in emotions. They are sensitive but they want others to see them as tough and edgy. Sagittarius people choose to live life with freedom. A hindrance to their freedom is one of their biggest fears. Capricorns are determined to push boundaries and achieve success at every level of their life. During this course, they keep their pace steady and slow to avoid being rejected or failed. Aquarius people stay content when they are allowed to make up their own minds and they hate it when they are being told to involve in any kind of “group mind.” They avoid intellectual imprisonment like, corporate work, schools, hospitals, or marriage. Pisces count as the most sensitive among all the zodiac signs. They fear emotional pain of loss because they also fear their ability to feel grief.